NEW DELHI: Ahead of a Defense Acquisition Council (DAC) meeting Dec. 17, 2014, state-owned Hindustan Aeronautics Limited (HAL) has stepped up its ambush campaign to derail the landmark Avro replacement tender. This is the first Indian military tender , which shuts out the public sector, and HAL is doggedly conducting a remarkable campaign against the decision of its owner, the Ministry of Defense. This kind of a public campaign by an Indian public sector undertaking against its own government is unprecedented. HAL has roped in its former Director, Radhakrishnan Srinivasan, now retired, as the front for its renewed campaign, which is now being waged publicly. Srinivasan is canvassing with all decision makers in the government, and opinion makers in politics and media. An earlier daring bid during the tenure of the UPA government to get the tender scuttled through the intervention of the then Heavy Industries Minister Praful Patel failed. Both the UPA and the NDA governments stuck to the decision to reserve this tender for the private sector after due scrutiny. - That the former Chairman of Tata, which has jointly bid with Airbus, was an Independent Director on the HAL Board, and is hence privy to "insider information"
At the outset, I would like to introduce myself as R.Srinivasan, who had worked for four decades in the defense PSU Hindustan Aeronautics Limited in several positions culminating in being appointed as a member of the Board of HAL as Managing Director of Helicopter Complex and subsequently as Director (Human Resources) before superannuating in May 2011. I had thoroughly enjoyed the various challenging assignments I had in the course of my long career in HAL and even after retirement, it is my pleasure to keep myself abreast of all the developments in HAL that have a bearing on its future. Certain recent decisions of the Government of India on an important defense project have left me greatly disturbed and in this context, I would like to draw your kind attention to the ‘Request for Proposal' (REP) for Avro Aircraft Replacement released by IAF for procurement of 56 aircraft. The RFP was released on 8th May 2013 soliciting responses from OEMs with participation from only Indian private Industry. 2. With the laudable intent to develop private sector in the area of aircraft manufacturing, Govt. had cleared the proposal for replacement of 56 Avro transport aircraft of IAF under “Buy and Make” route. The Avro aircraft were produced during the early 60s to 80s under technology transfer at Kanpur by HAL. A total of 89 aircraft were produced, 67 for IAF and the balance for civil customers. IAF currently holds 56 aircraft, which it wants to replace by an aircraft with “Tactical Airlift” capability. 3. The Approval of Necessity (AON) for the subject Avro case was approved for fulfilling the tactical airlift capability gap in the 5-tonne class of aircraft. Avro does not have Tactical Airlift capability, the ground on which Approval of Necessity (AON) was sought and accorded. Hence, this proposal is not for Avro replacement but a fresh procurement case. IAF, in its inventory, has aircraft like AN-32, C-130J and C-17 which are equipped with functionalities for such applications viz. rear ramp, high altitude operational capability, auxiliary power unit etc. Multi-role Transport Aircraft (MTA), catering to this specific capability, is also under development jointly between UAC-TA, Russia and HAL. IAF's Tactical Airlift capability, therefore, has not been dependent on Avros and justifying replacement of Avro on grounds of declining tactical airlift capability does not sound logical. 4. The tender issued in May'13, for the subject case had to be extended several times due to requests from foreign OEMs for more time required in identifying an Indian partner. 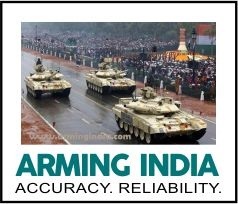 Notable part of the tender was exclusion of entire PSUs of India from participation as approved by Defense Acquisition Council, to avoid any competition from it. Foreign OEMs were required to identify an Indian partner other than PSU, supply initial 16 aircraft from their original facilities and provide technology transfer for manufacture of balance 40 aircraft by the Indian partner. Foreign OEM would, however be the main contractor as the contract for 56 aircraft is required to be signed between the OEM and IAF, while the, Indian partner would only be a vendor to the foreign OEM. 5. The noticeable apathy of Indian private companies in partnering with any OEM, can be easily gauged. Low number of requirement, upper hand of the foreign OEM in deciding the terms and conditions, low margins, high capital investment, high skill requirement, long term engagement over the life of the aircraft for maintenance support, remote possibility of the selected platform for civil use etc. are some of the factors which cannot be easily overlooked by any private entrepreneur. The result is in front of us for all to see. After more than one and a half years of deliberations, we today have only one offer from Airbus Military with TATA as Indian partner, for the aircraft which can otherwise be competitively selected and economically produced if the requirements are carefully identified and available facilities and expertise in the country are utilized. 6. 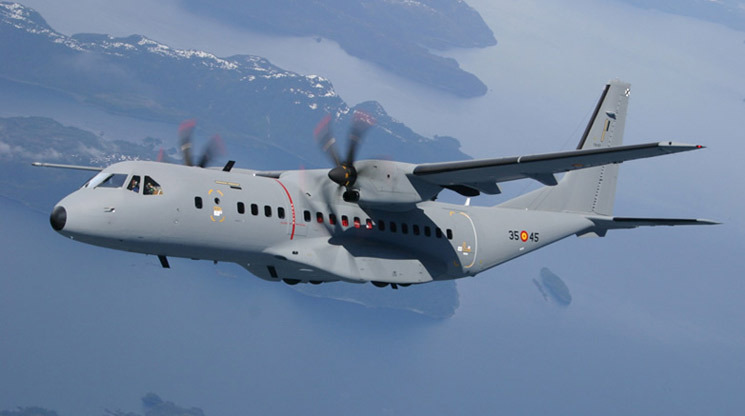 The proposed Airbus C-295 aircraft is almost of double the capacity (9.25 T payload/ 71 seats) as against that required for Avro replacement (5 T payload/50 seats), flew for the first time way back in 1997 and only around 100 numbers have so far been sold over the last 17 years IAF's requirement of 56 numbers would definitely be attractive to Airbus with TATAs providing ideal partnership, as they have insider information about HAL, the only integrated aviation company in India. TATA, being a large business house, can effectively influence the Govt .decision in their favour. The erstwhile Chairman of the Tata Group had served as an Independent Director on HAL Board for two terms for a total of 5 years and had been privy to all important information about the company's plans and policies. This opportunity provided to TATAs has enabled them to systematically diversify into Aviation. 7. Nations, world over, have followed the concept of flagship companies in various business segments. Aviation is a business, in which countries have followed the concept of National Champion and consolidation of aviation industries taking place world over is proof of the same. Boeing and Airbus are classic examples of how these flagship companies have played the role as National Champions in their respective countries. We in India too, have done the same. Aeronautics India Limited formed in 1960 as a private company was consolidated in 1964 with other aviation agencies as HAL, for the same reason. Several companies with the same competencies cannot co-exist and be competitive in aviation sector due to the sector specific and inherent characteristics like low volumes, large capital, high skill set, cutting edge technologies, long term engagement etc. It would never be advisable to create multiple infrastructures/capacities/ capabilities for similar type of products with enormous capital, and allow idling of the same at public expense. 8. Hon'ble Prime Minister's call for Make in India aims to create new manufacturing capability within the country as well as optimally utilize the available capability. Setting up of new facility at the cost of non-utilization of existing public funded infrastructure would never be the objective. On the contrary, it means loading more work to existing facilities so that they achieve the desired scales of economy for competitive manufacturing. The global competitiveness, as Hon'ble Prime Minister has rightly pointed out, can only be achieved with the right combination of skill, scale and speed. Given the scale, available skill can produce the required speed. This is where Govt's intervention and support are required in enabling a DPSU like HAL to become globally competitive. ‘Make at any Cost' is not the underlying mantra that the call for ‘Make in India' implies. Economic unreasonability is not and can never be the rationale behind the ‘Make in India' campaign. I strongly believe that the current proposal is heading in the direction of ‘economic unreasonability', given the unavoidable duplication of capital infrastructure requirements at a huge cost. 9. I invite your kind attention to the above case and sincerely request that the matter be re-examined from a larger and wider perspective keeping in view the nature and intricacies of aviation business. If IAF is allowed to pursue this case further in the proposed format, it will not be achieving the objectives underlined by Hon'ble Prime Minister but will only be turning the 'Make in India' drive into ‘Make by TATA'. In fact, the AON itself needs to be revisited and reviewed from the points of view of necessity, specification as well as mode of procurement. Make in India does not mean that production in India is done by only the top 3 or 4 big business houses. Hon'ble Prime Minister wants it to be done with the concept of inclusive growth as the basis. The Govt. may also like to decide this deal keeping in view the various strategic options it has, in view of the forthcoming visit of President of USA to India.